Hunter Smit, Cameron Easton, Caroline Williams et al. Darren Lynn Bousman, Axelle Carolyn, Adam Gierasch et al. 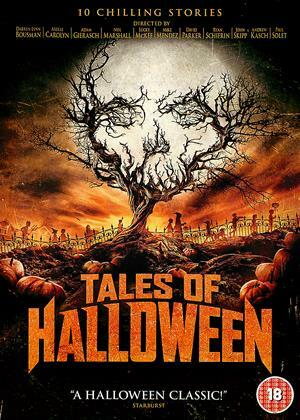 Named "the best horror anthology since Trick 'r Treat" by Fangoria, 'Tales of Halloween' weaves together ten chilling tales from horror's top directors including Neil Marshall (The Descent), Lucky McKee (The Woman) and Darren Lynn Bousman (Saw II, III and IV). 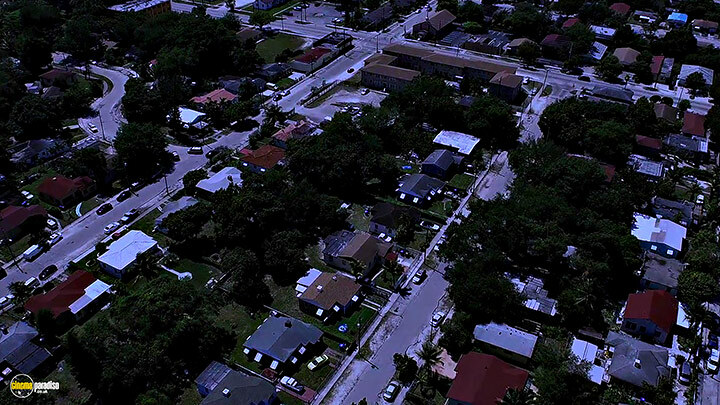 Watch in terror as ghosts, ghouls, monsters, aliens, axe murderers and the devil himself delight in terrorising unsuspecting residents of one American suburban neighbourhood across one heart-stopping Halloween night. 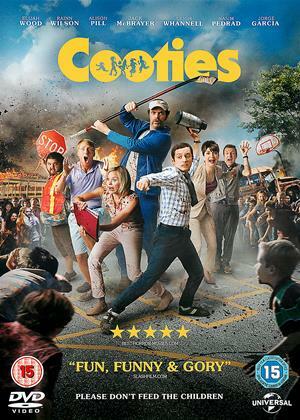 I really loved this movie, my favorite cinema genre is the Anthology movie and this one is a Fun one. a really mixed bag of stories with all sorts of twists and turns. and when they are all pretty good like this you get your moneys worth and more. 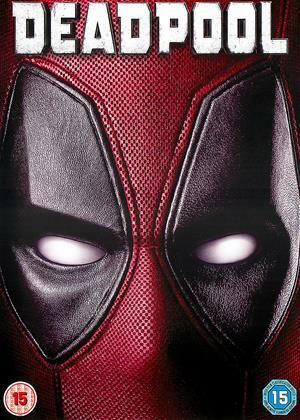 It wont ever be a GREAT Movie but certainly its an Entertaining one. Great for Halloween Night eating the Trick or Treat Candy and putting your feet up . 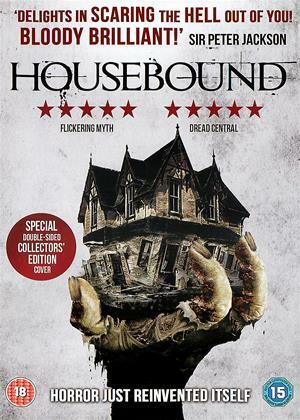 I can not see why it was Named "the best horror anthology since Trick 'r Treat" by Fangoria, found it quite poor with acting , script and the effects. Couldn't work out if it was trying to be a comedy or a horror , I didn't find it to be any of these. Couldn't finish watching it all. Wouldn't waste your time with it. 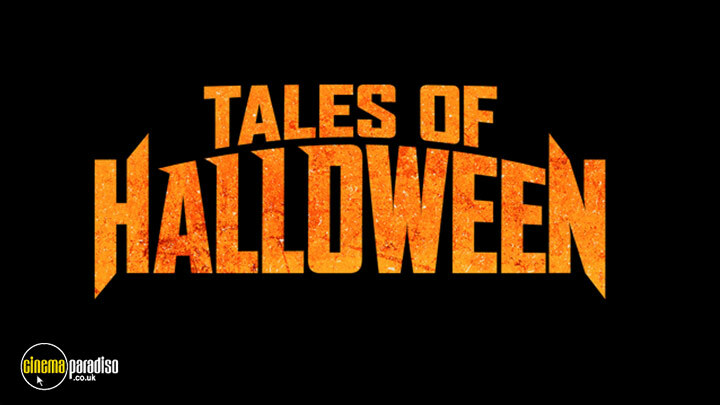 Bloody, gory and wickedly ridiculous at times, Tales of Halloween is a somewhat mixed bag of an experience, with scenes, themes and motifs that one has (almost) seen thousand times before. This ten-story anthology closely resembles a simulacrum of a trick-or-treater's candy stash which includes candy you would munch in a heartbeat, sweets to be saved for later and edibles to be right away thrown in the trash, no questions asked. 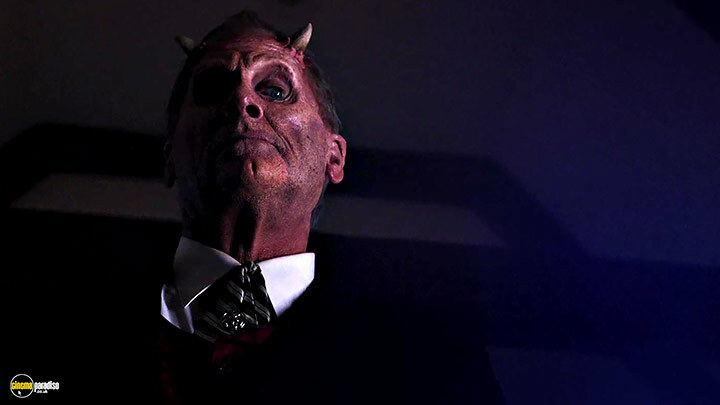 Tales of Halloween starts with ‘Sweet Tooth’, an opening sequence that perfectly sets the tone for what’s rest to follow. It’s enjoyable and fun on the gory side, depicting a memorable Halloween legend with some real terror thrown somewhere in-between the piece. It continues by showing ‘Ding Dong’ by director Lucky McKee – a tale about an insane horror queen who stops at nothing to cause mayhem and madness to everyone who has done her wrong. Also, Pollyanna McIntosh really shines in the role. Then we have the ones to be saved for later, and for better or worse, they comprise the bulk of the anthology. 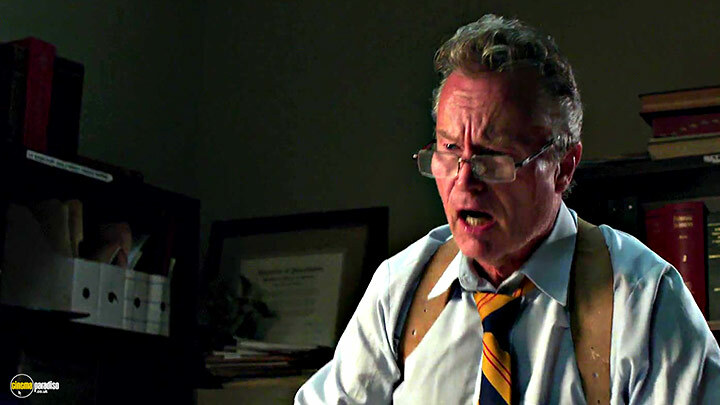 Like ‘The Night Billy Raised Hell’, a satiric segment that is hilarious in its own right. Or, take for instance ‘Grimm Grinning Ghost’- a perfectly executed build-up, only to end in a disappointing jump scare that neither reliefs, nor causes elation upon potential viewers. 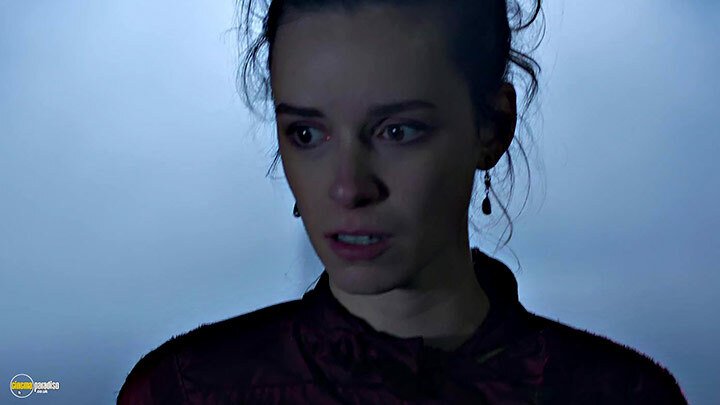 In continuation we witness the mediocre entries that are both almost-good with fiddles of borderline parody and barely watchable with questionable acting. ‘The Ransom of Rusty Rex’ is one of those as it fails to deliver more punch than some generic revelations about the nature of humans. 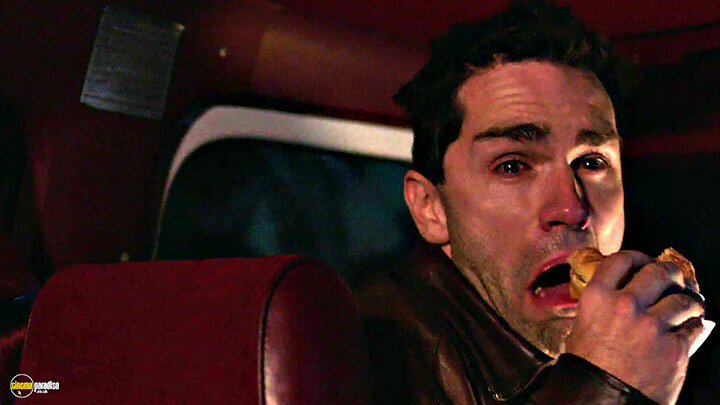 ‘Bad Seed’ by acclaimed director Neil Marshall is as funny as a ‘killer pumpkin on the loose’ premise can get. Finally, we approach toward the neither funny, nor scary segments that (I presume) acted most as literal filler to the running time of the anthology. ‘Friday the 31st’ twists the convention without twisting the genre – now the killer is the one that is in jeopardy. It would’ve probably worked as a low budget YouTube short, but certainly not as a full-fledged entry in a movie short competition contest. ‘The Weak and the Wicked’ has some overall nice ideas, but its execution is as amateurish as it can get. And, the unsuspecting apple among army of chocolate bonbons that every kid tends to overlook is exactly that – a straightforward narrative of two neighbors competing over who will make the best Halloween yard decorations. It’s silly, it doesn’t work and it’s poorly executed. 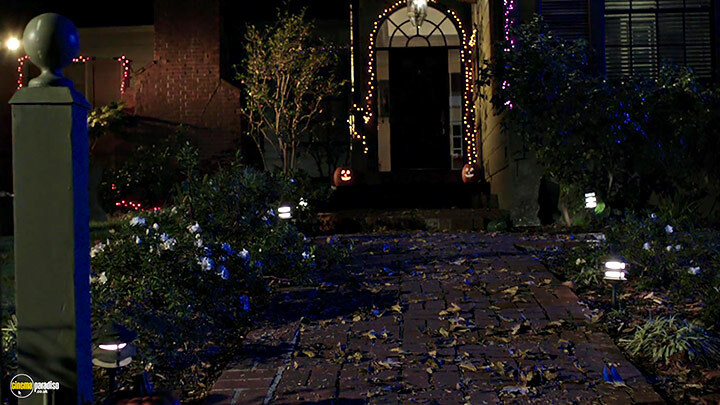 But, that isn’t to say that Tales of Halloween isn’t a fun watch during a friendly night of terrors and horrors of the unpredictable and bizarre. I cannot see it being a hit on the big screen, but it’s probably worthy a rental or two when you come to better think of it.